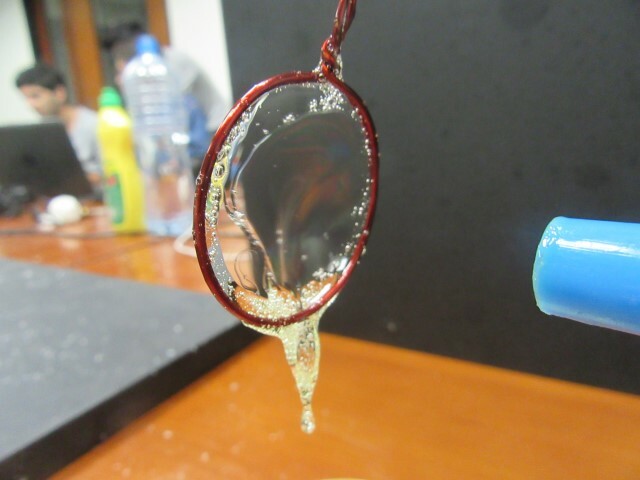 When blowing on a soap film in the ring, a bubble may be formed. 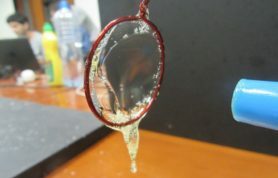 The liquid film may pop or continue to exist. 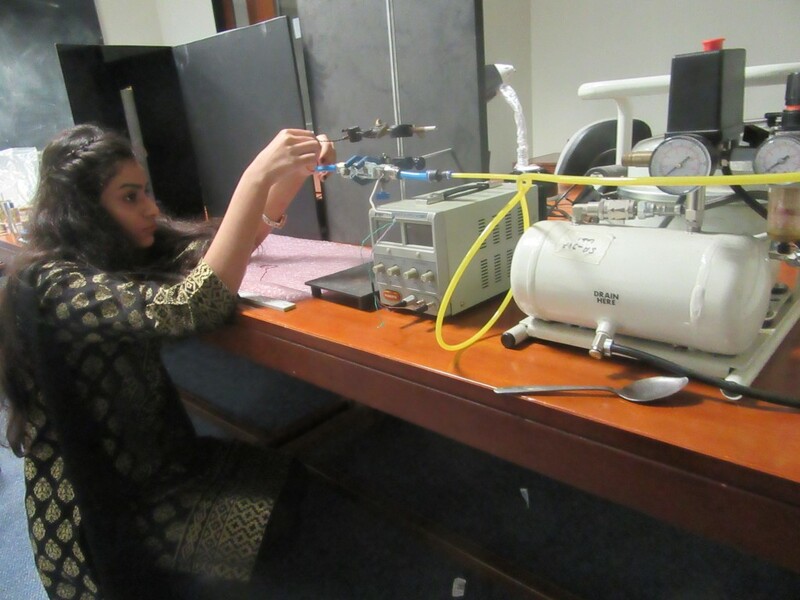 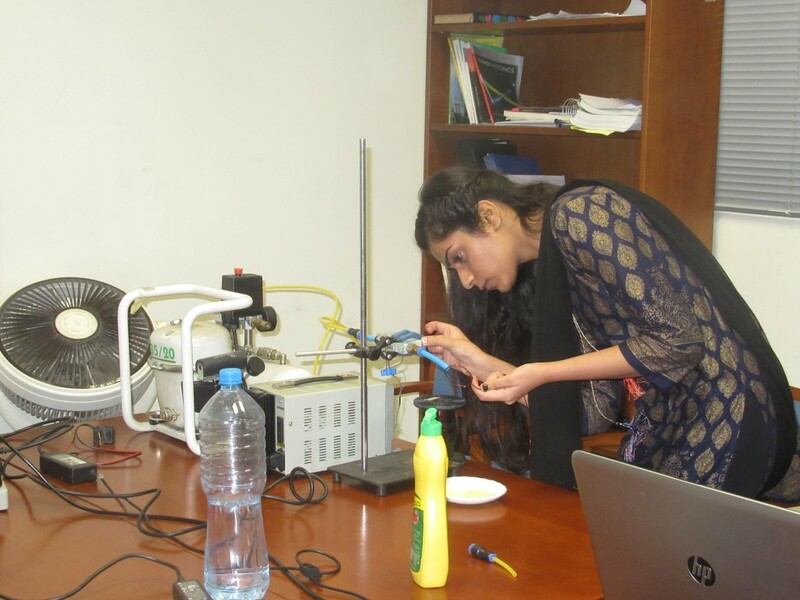 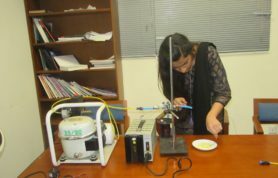 The IYPT Pakistan team member Iftah Mahmood spent time on investigating how the number of bubbles are related to being produced from a single soap film and what are the characteristics of the bubbles that depends on the relevant parameters. 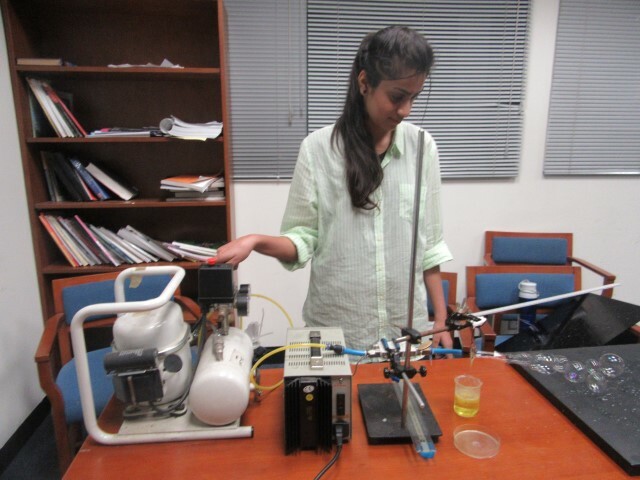 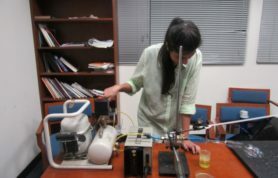 The Physlab team built an automated bubble blowing system using a compressor motor. 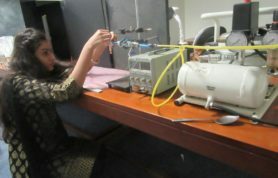 The team also attached a flow meter to measure the air-flow which was part of the parameter for the study. 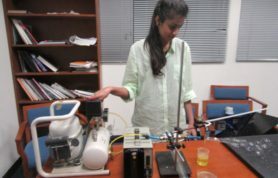 Following are the visuals where you may see Ifrah taking on the challenge to study the dynamics of bubble formation.